I have had a life-long interest in dinosaurs and fossils and it seems that my eldest granddaughter has acquired the same interest. Dinosaurs have been one of the most successful groups of animals that have ever lived on our planet Earth. 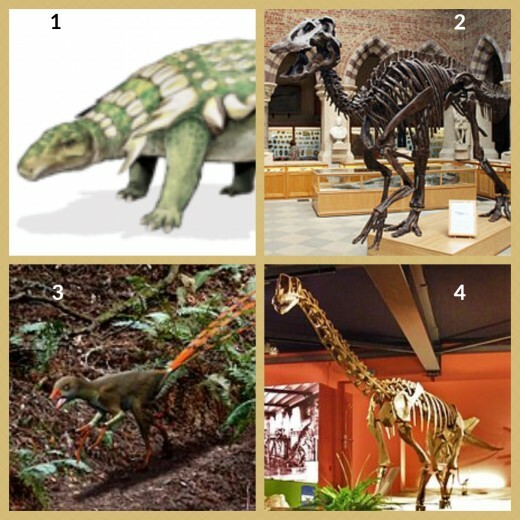 This article, The A to Z Guide to Dinosaurs seeks to bring information, interesting facts and fun to those among us who love Dinosaurs. Dinosaurs - in most children's eyes they are probably the most amazing creatures imaginable. Who among us has not been enthused by these incredible creatures. Dinosaurs first appeared on Earth about 230 million years ago and they ruled the planet for the next 160 million years. 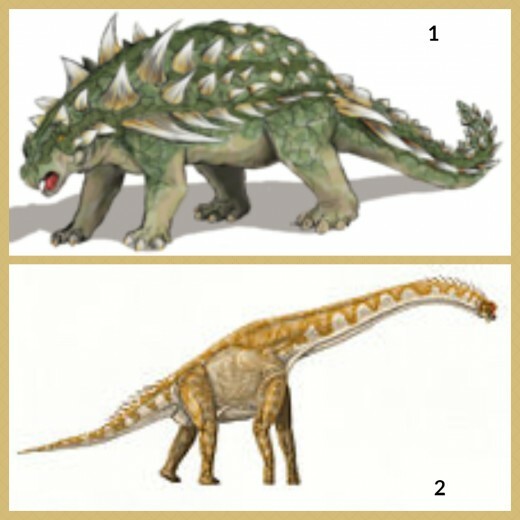 They evolved with an amazing range of body shapes and modifications that included crests, horns and scales or body armour. 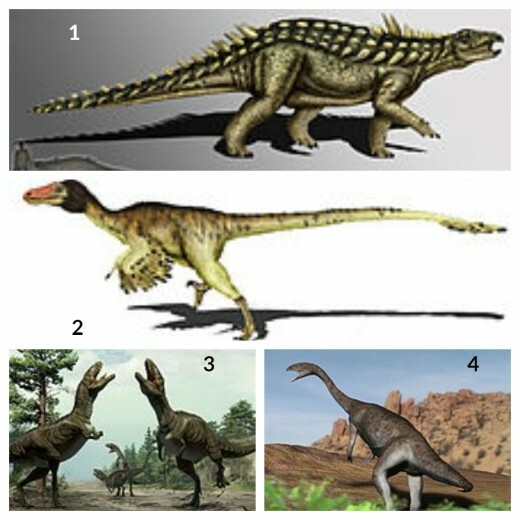 There are an amazing number and types of dinosaurs that have been discovered. Barely a week goes by without further discoveries and potential new dinosaurs being found. 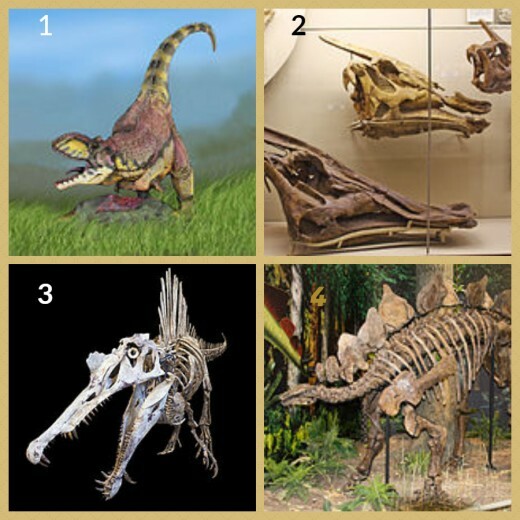 Whilst some dinosaur discoveries are based on complete skeletal finds, many are based around the discovery of only a few remaining bones or perhaps a skull. But one things remains true, no matter what our age, dinosaurs continue to capture our imagination. 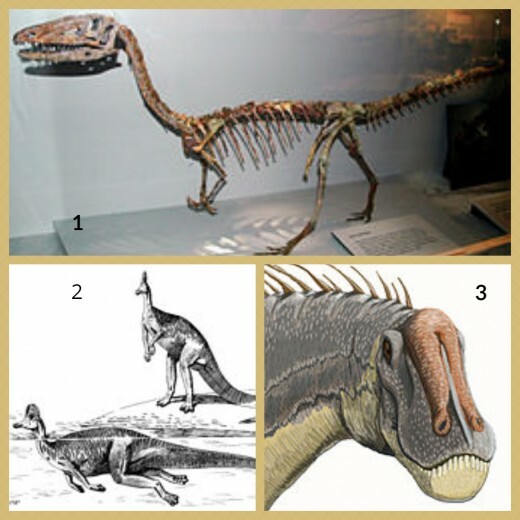 This article provides a comprehensive collection of dinosaur pictures, names and facts. A FEW FACTS ABOUT DINOSAURS. dinosaurs were reptiles - most hatched from eggs. 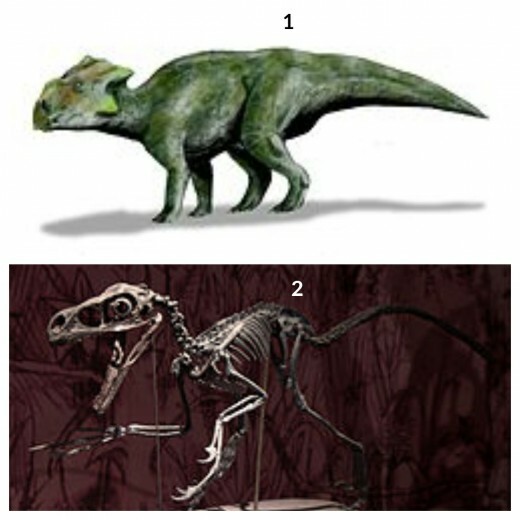 some dinosaurs walked on two legs - called bipedal. Some walked on four legs - called quadrupedal. some dinosaurs were plant eating - called herbivores. some were meat eating - called carnivores. some dinosaurs ate both plants and meat - called omnivores. dinosaurs lived on land, they were unable to fly - and they did not live in water. the first dinosaur named was Megalosaurus in 1824. The names means Great Lizard. What were the Time Periods for Dinosaurs? Whenever Dinosaurs are talked about, you will usually hear one of the main time periods that they lived in and are therefore associated with. The Cretaceous Period - a relatively warm climate at this time between 65 million and 145 million years ago. The Cretaceous Period was named after chalk, which is its most characteristic deposit. This period ended with the biggest mass extinction that our planet has ever known, Dinosaurs died out and the first snakes and modern mammals appeared. The Jurassic Period - a time between 145 million and 200 million years ago when much of Europe was submerged under shallow tropical seas. 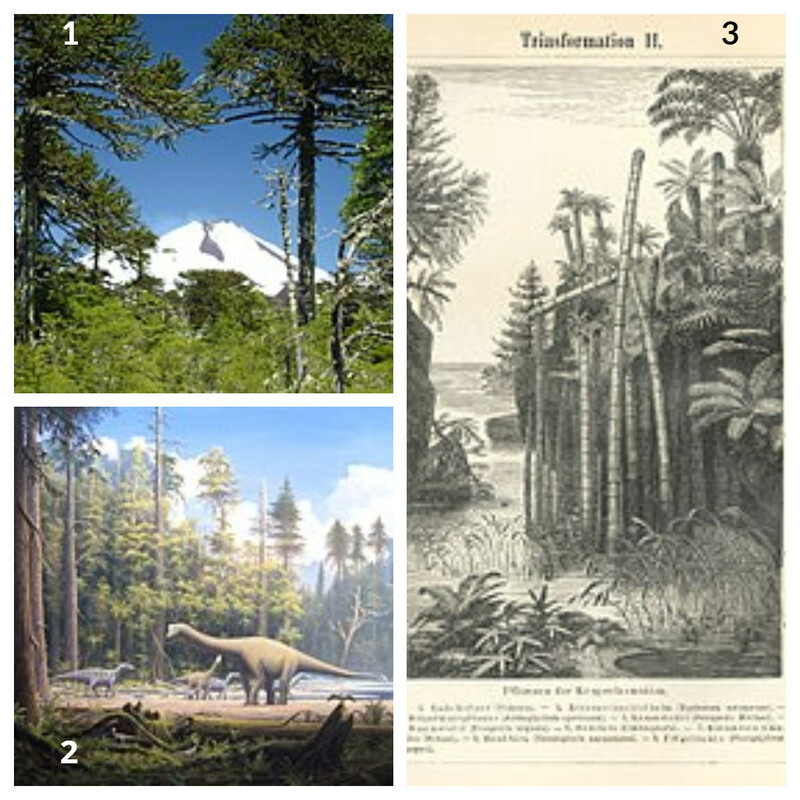 The Jurassic Period is named after the Jura Mountains. During the early Jurassic, dinosaurs became the dominant species. It was during the Late Jurassic Period that flowering plants started to evolve. The first birds also appeared during the Jurassic Period. The Triassic Period - a time between 227 million and 248 million years ago. It was a time when most of the Earth's land was concentrated into a single massive continent that lay around the equator. 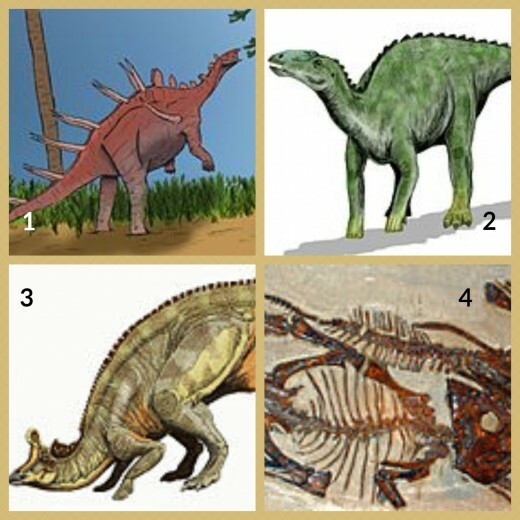 The Triassic Period was when the first small dinosaurs and mammals appeared. Coelophysis was one of the first dinosaurs to appear in the mid Triassic period. During the Triassic Period, the first turtles, crocodiles and frogs also appeared. 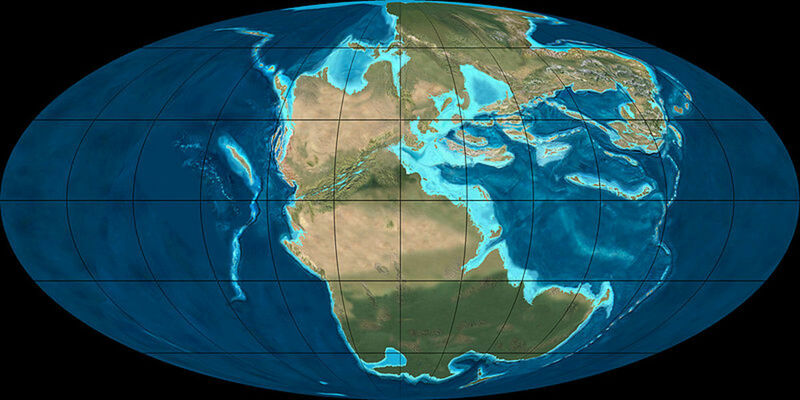 During the age of the Dinosaurs, all the earth's continents were joined in one landmass. This meant that animals could migrate over the whole surface of the Earth. The first Dinosaurs appeared some 230 million years ago and these ancient reptiles went on to rule the earth for next 160 million years. 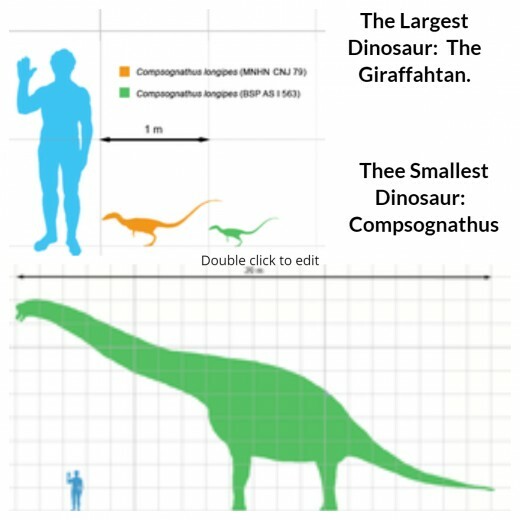 Just how big did the biggest Dinosaurs become? There is a lot of competition as to which dinosaur was the tallest, the longest and the heaviest. 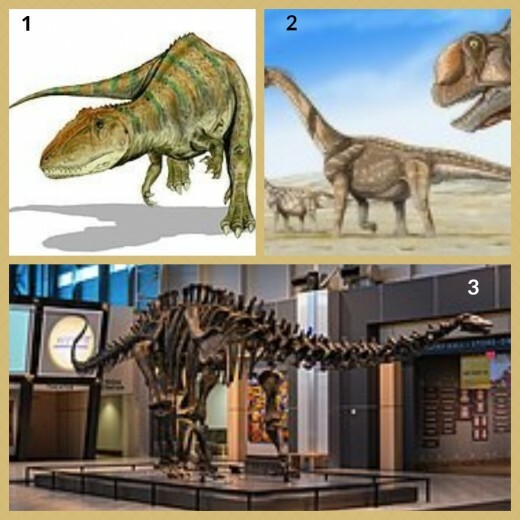 A number of claims are based on only partial finds of bones and so it is difficulty know with certainty which dinosaur would be the winner. From those remains where good skeletons have been found, the race to find the tallest and heaviest Dinosaur's would find a good contender in the Giraffahtan - an example was found in the early 1900's which was 12 meters tall and 22.5 meters long. It would have weighed somewhere between 30,000 and 60,000 kilograms. This dinosaur was about the size of a chicken. How do we know that Dinosaurs existed? Evidence of Dinosaur existence comes from the fossilised remains that have been found. In order to become fossilised a body part must usually have hard parts, such as bone or shell. 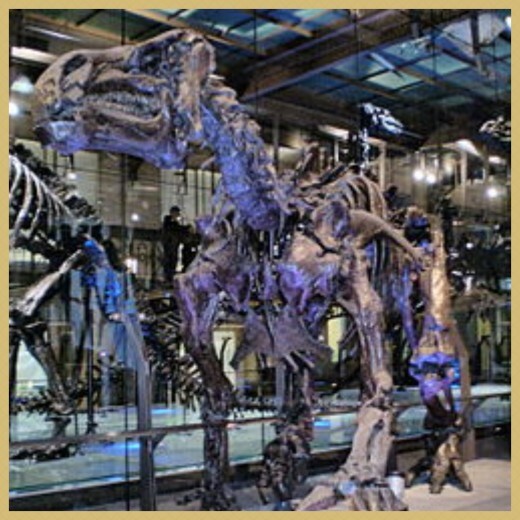 To help the process of turning into a fossil, the dinosaur would normally have had to have been buried quickly, this prevents decay and allows the dinosaur to be undisturbed during what is a lengthy process. Hard parts of dinosaurs, such as teeth, can be preserved as fossils with very little alteration. Bones on the other hand, are usually altered through being replaced by dissolved mineral matter. There are other forms of evidence also. These come from moulds or casts. An example of this can be footprints. A dinosaur can leave a footprint in the ground which then fills with fresh mud, this forms a cast. Did you know that the word Dinosaur came from the term Dinosauria - which means "Terrible" or "Wondrous" Lizards". It was the English anatomist Sir Richard Owen who coined this phrase in 1842. 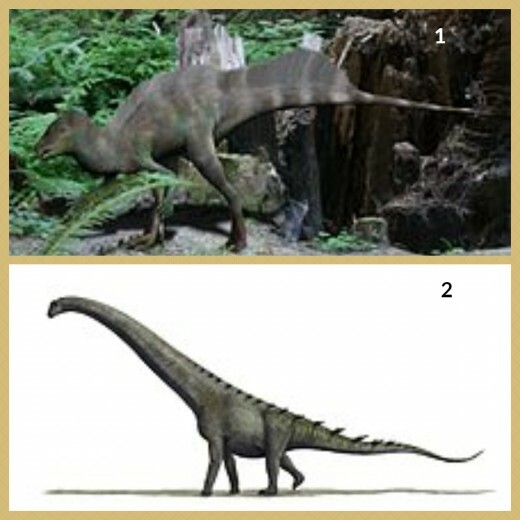 The A to Z of Dinosaurs begins with Acanthopholis which was a 4 legged herbivore. The Acanthopholis was an armoured dinosaur and lived in the early Cretaceous Period about 100 million years ago. The name means Spine Bearer. It had rows of oval shaped plates set into its skin. There is limited understanding about Acanthopholis as only partial skeletons have been found. However, it is known to have quite a narrow head and spines protuding along the middle of its back. Acrocanthosaurus lived in the Early Cretaceous Period in what is now known as North America. This dinosaur was a predator which grew to be about 12 meters in length. The name means High Spine Lizard. Did you know that we really don't know what colour dinosaurs were. Some scientist believe that they may have been colourful in the way that some birds are today. However, some paleontologists believe that they would have been similar in colour to those of modern day lizards (grey, green and brown) as this would have provided a form of camouflage. Adasaurus Dinasaur - animation - This meat eater might grow to about 1.8 meters in length as an adult. The Name means Ada Lizard. Ada being an evil spirit from Mongolian myth. Dinosaurs lived for some 160 million years until they became extinct. We might never really know what is was that finally ended the era of the dinosaur, but most scientists believe that it may have been as a result of a huge asteroid that hit the earth in the Gulf of Mexico. Allosaurus was one of the largest dinosaurs from the late Jurassic period. A meat eater and a top predator, it is believed to have been a fierce hunter using the long claws on its arms to grab prey. Many of the fossil finds have been discovered in the USA. It is believed to have preyed on the larger plant eating dinosaurs, perhaps even hunting them in packs. An Allosaurus skull is about 80cm in length with a small bony ridge above each eye socket. The name Allosaurus means Other Lizard. 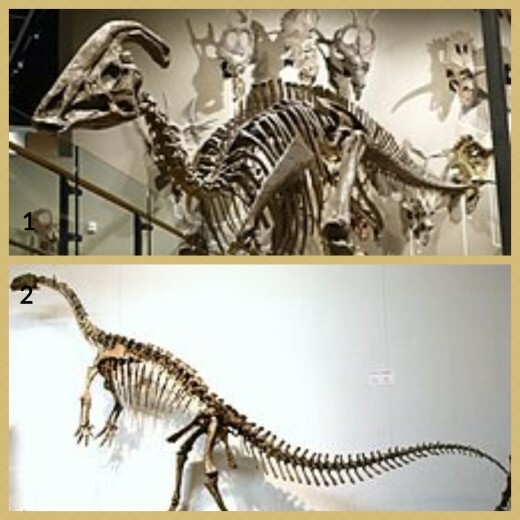 Fossils from the Anchisaurus were first found in North America 1818 although it was much later in 1865 that they were finally identified and categorised as belonging to a dinosaur. The Anchisaurus was not huge by dinosaur standards, but stood about 2 meters tall. It had teeth made for shredding leaves. This dinosaur lived in the early Jurassic Period approximately 190 million years ago. The name Anchisaurus means Near Lizard. Aptosaurus is the new name for what was once the famous Brontosaurus. The Aptosaurus lived some 150 million years ago and was discovered in 1879. It lived during the late Jurassic period. Most of the finds of this dinosaur have been made in western North America. The name Aptosaurus means Deceptive Lizard. Argentinasaurus holds the record for being the longest and the heaviest land animal that has ever lived. This was partly achieved because the Argentinasaurus dinosaur didn't waste time chewing its food, instead it gulped it down whole. Not needing to chew meant saving energy and this helped them to grow so enormous. Fossilised remains of the Bactrosurus were first found in the Gobi Desert in China. This dinosaur lived in the Cretaceous Period and grew to be about 2 meters high and 6 meters long. Fully grown, this dinosaur was believed to have weighed about 3,000 pounds. The name Bactrosaurus means Club-spined lizard. Bagaceratops means "Small Horned Face." This small dinosaur lived in what is now known as Mongolia some 80 million years ago. It grew to be about 1 meter long and 50 cm high. The Bagaceratops was a plant eater and is thought to have fed on ferns and conifers. The name Bagaceratops means Small Horned Face. The Bambiraptor is a bird like dinosaur which was discovered in 1994 by a 14 year old fossil hunter. This dinosaur lived some 75 million years ago in the late Cretaceous Period. The fossil found is believed to be youngster and was about 1 meter in length. Its light weight and strong hind legs suggest that this dinosaur may have been a fast runner. Brontosaurus was the name given to a dinosaur found in 1879. However, an earlier example of this dinosaur species had been found two years earlier and was named Apatosaurus. But it was not until 1975 that scientists proved that the original brontosaurus find was in fact the remains of two different dinosaurs and that the head was that of a Apatosaurus. The consequence of this is that in fact Brontosaurus is an invalid name - the earlier naming of this dinosaur takes priority. That said, quite a lot of people today still refer to this amazing animal as Brontosaurus. At 23 metres in length, it was one of the largest land animals that has ever lived. Just how big was the Brontosaurus? This dinosaur was from the Jurassic Period, some 150 million years ago. It was about 22 metres in length and weighed as much as 4 elephants. It was so large that for a while it was thought that it would not have been able to support its own body weight on land, and so must have lived at least partially submerged in water. This theory has since been disproved. 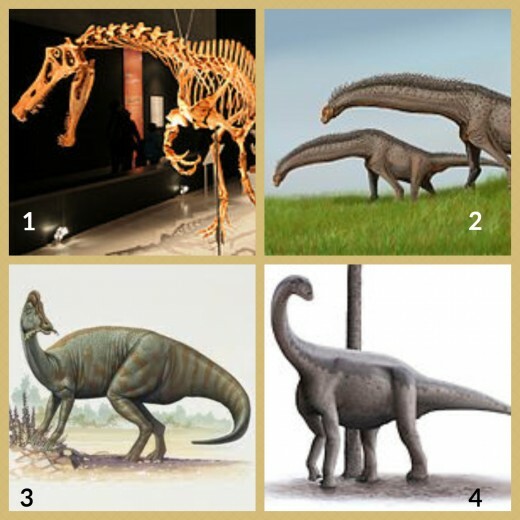 A fun collection of Brontosaurus pictures accompanied by the music - Brontosaurus Stomp. Did you know that scientists in Argentina say that they have found the world's oldest dinosaur called a Herrarasaurus, is believed to be 230 million years old. This dinosaur had four sturdy, elephant like legs which supported its large body. Many of the fossilised remains have been found in Wyoming and Colorado usually in large groups suggesting that this dinosaur roamed in herds. The Camarasaurus lived in the Late Jurassic period (around 150 million years ago). It grew to be about 4.6 meters in height and 18 meters in length. The name Camarasaurus means Chambered Lizard. The first remains of this dinosaur were found in Morocco around 1900. More recently, a skull exceeding 5 feet in length was found in North Africa. It lived in the Cretaceous period and the Carcharodontosaurus is probably best known for its teeth which were triangular with serrated edges on the back and front. This dinosaurs name is linked to Carcharodon - the Great White Shark. From the Late Cretaceous Period, Centrosaurus was a 6 meter dinosaur. The first Centrosaurus was discovered in Canada. 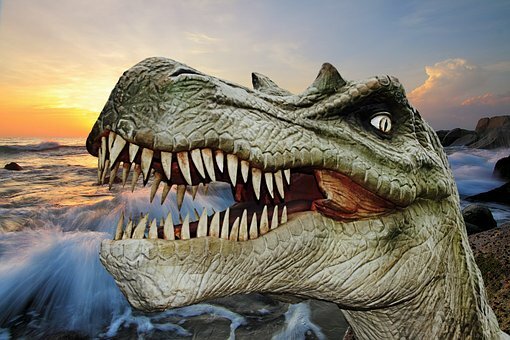 Did you know that dinosaurs are believed to have reached between 50 and 100 years of age. It was once thought you might be able tell their age by the growth rings on their teeth, but as these were being constantly replaced, this is not thought to be an effective method. From the Late Jurassic Period. A slim dinosaur and likely to be a fast runner. With large eyes, a long neck and blade like teeth. The name Coelophysis means Hollow Form. First discovered in 1912, this duck-billed dinosaur was from the Late Cretaceous Period (about 80 million years ago). The name means "helmet lizard." The Corythosaurus grew to weigh about 4 tonnes and be 10 metres in length. The Dicraeosaurus a plant eating dinosaur lived in the late Jurassic period. It grew to about 12 meters in length. Dicraeosaurus means "Two-Forked lizard." It is believed that the Dicraeosaurus used its tail like a whip against predators who might have tried to attack it. Did you know that tracks left in the mud by dinosaurs provide clues as to how quickly they moved. By measuring the distance between footprints, experts have calculated that some dinosaurs may been able to reach speeds of around 25 mph. Diometrodon lived around 270 million years ago. This dinosaur is believed to be more closely related to mammals than to reptiles. The sail on its back is understood to be a method of controlling its body temperature, or possibly for display. 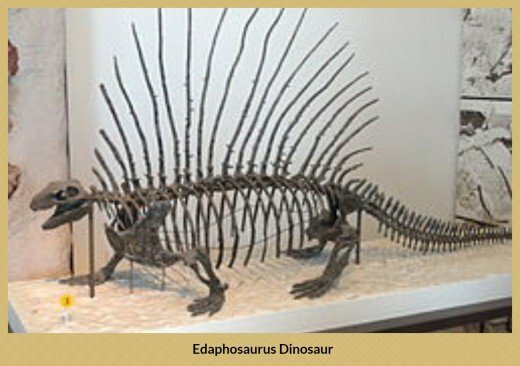 Edaphosaurus lived around 300 million years ago, the first remains being found in North America. Diplodocus (which translates to mean "Double Beam"), lived in what is now the North West of America during the Jurassic period. One of the most recognisable dinosaurs because of its classic dinosaur shape. This dinosaur was discovered in what is now the western North America where it roamed some 150 million years ago. Over half the length of the Diplodocous was made up from its tail. The name Diplodocus means "Double Beam." 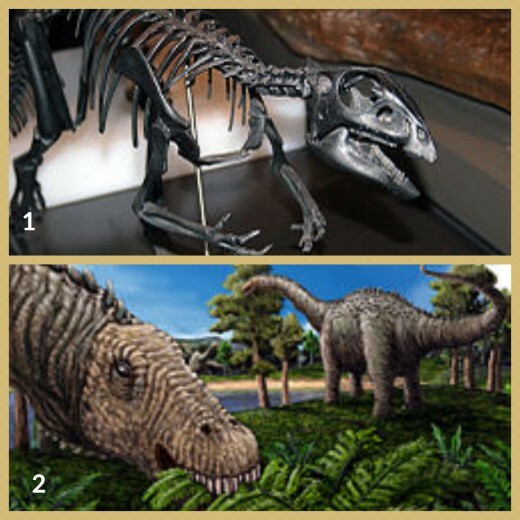 Did you know that most Dinosaurs were plant eaters (herbivores). Meat eating Dinosaurs (carnivores), only accounted for about 1/3 third of all dinosaurs. This plant eater was a tank like dinosaur which was some 6 meters long and 2 meters high. Its armour would have given it great protection from predators. The spines and spikes along its side would have this dinosaur appear wider that it really was and would surely have put off some predators from taking it on. The Edmontonia grew to be about 6.5 meters long. Edmontosaurus is a clssic duck-billed dinosaur. This dinosaur was originally known as Anatosaurus before being renamed. Edmontosaurus lived in the Cretaceous Period some 70 million years ago. It was some 13 metres in length and weighed in at a hefty 4 tons. 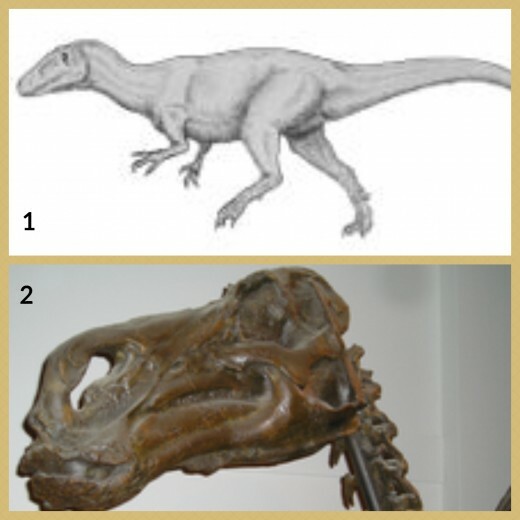 It had a low skull without a crest and a it had a broad snout resembling a ducks beak. Some well preserved specimens have been discovered which includes not only bones but also parts of the skin and internal organs. They also had webbed fingers, probably used for swimming. The name means display feathers. From the Late Jurassic Period, this dinosaur was believed to have fed on bugs that lived inside trees, uUsed the elongated fingers to tease these out. Designed for life in the trees, it was covered in short feathers that were used primarily for keeping warm. Its four elongated tail feathers are the earliest known examples of decorative feathers. The Europasaurus lived in the Late Jurassic Period. While this dinosaur grew to about 6 meters in length, it was something of a dwarf when compared to other dinosaurs from the the sauropod family. As its name suggests, this dinosaur was discovered in Europe. This dinosaur was tiny by normal dinosaur standards with young adults reaching about 75 cm in length. The name means Giant Chief Lizard. From the Late Cretaceous Period, the Futalognkosaurus reached about 35 meters in length. Its long neck had 14 vertebrae and was over 1 meter deep in places. 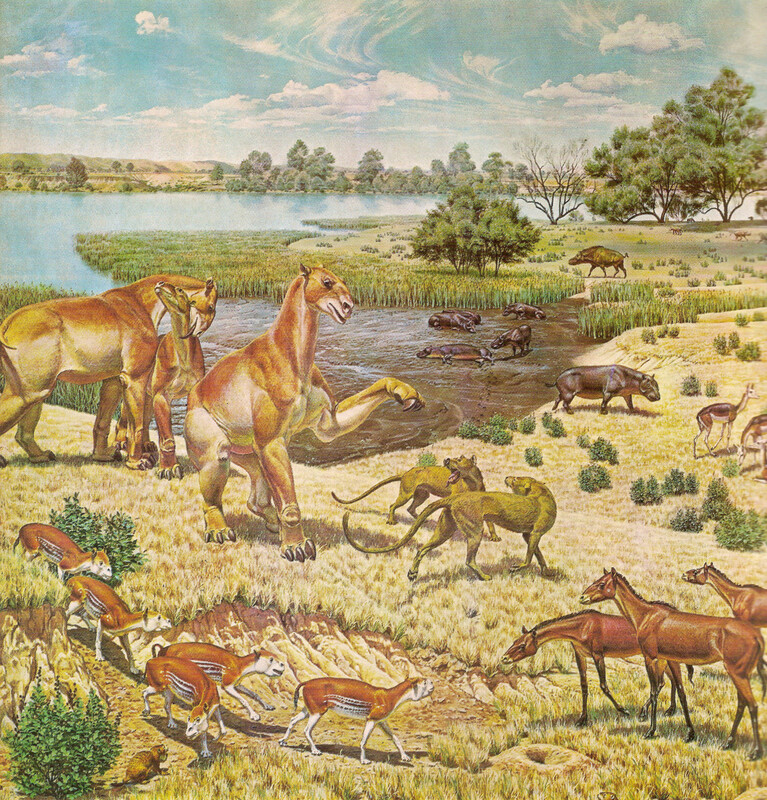 Gastonia lived in the Early Cretaceous Period (some 125 million years ago) in North America. It remains were first discovered in 1998. This dinosaur grew to between 4 and 5 meters in length. A very large, four legged, plant eating dinosaur. Interestingly, it has been debated that if this dinosaur was warm blooded, then it would have taken about ten years to grow to full size. However, should it have been a cold blooded dinosaur, then it may have taken as long as one hundred years to reach full size. The Hadrosaurus was first discovered in 1858. 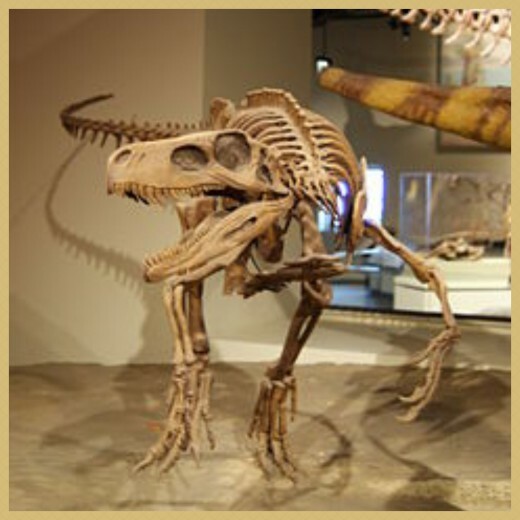 It is famous for having been the first dinosaur skeleton that consisted of more than just a few teeth. Ten years later, it became the first ever mounted dinosaur skeleton. Hadrosaurus lived in what is now North America in the Late Cretaceous Period. Orignally found in northwest Argentinia in 1973, Herrerasaurus is one of the earliest dinosaurs to have lived. It was about 2 meters in height and 4 meters in length. The Herrerasaurus had a flexible joint in the lower jaw which means that it had a more effective bite. The Iguanodon was one of the first dinosaurs found and it received its name as its teeth resembled those of the modern day Iguana. This dinosaur lived in the early Cretaceous period and grew to be between 6 and 10 meters long and about 2.6 meters in height. The Iguanodon would have weighed around 4 tons. A life size model of an Iguanodon was made in the 1850s for the grounds of the Crystal Palace in London where it still stands today. 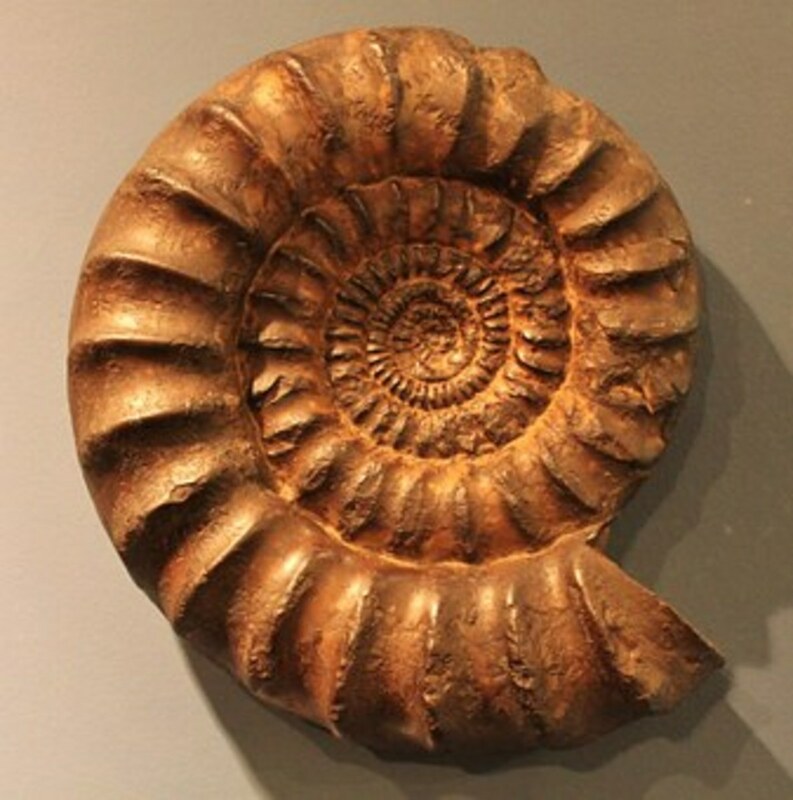 Fossils have been found in England, Belgium, North Africa and USA. Irritator lived some 110 milion years ago in the early Cretaceous Period. It is believed that this dinosaur grew to be about 8 meters in length. Discovered in Brazil, the remains found consist of a 80cm skull. The Isisaurus lived in what is now known as India in the Late Cretaceous Period. This dinosaur would have grown to be some 18 meters in length and weigh approximately 14,000 kg. Partial remains have been found in Kharkhstan and in China. It had a large helmet like crest. Discovered in the Saraha Desert in 1997. There still remains some dispute over the age of this creature. Some say the Jobaria lived some 130 million years ago in the early Cretaceous Period, whilst other contest that it was probably mid Jurassic making it 30 million years older. The name Kentrosaurus means "Spiked Lizard". It grew to about 4.5 meters in length, over half of which was the length of its tail. This duck billed dinosaur lived in what is now North America some 72 million years ago. To date only a partial skull and lower jaws have been found. Its most distinctive feature was its crest. This duck-billed dinosaur grew to about 6 meters in height. It is believed that this creature used the hollow crest on its head to make horn like sounds. First discovered in 1910, this dinosaur was from the late Cretaceous Period. Leptoceratops was about 2 meters in length. This herbivore was from a group of dinosaurs with a parrot like beak, probably to allow it to feed on ferns. This dinosaur was found in China in 1941. It is famous for being the the first dinosaur to be commemorated on a postage stamp - issued by China in 1958. The Lufengosaurus was able to stand on its back legs in order to reach up into trees for food. Magnosaurus was found in 1926 in England and is from the Middle Jurassic Period. Only partial remains have been found to date, but it is estimated that this dinosaur reached some 4 meters in length. A large duck-billed dinosaur from the Late Cretaceous Period. This dinosaur grew to about 9 meters in length and weighed some 3 tons. The Maiasaura is believed to have lived in huge herds which probably contributed to a form of protection from predators. The name means "Good Mother Lizard." Mapasaurus was a large carnivorous dinosaur from the early cretaceous period. It grew to about 30 feet in length. The names mean Lizard of the land. Masiakasaurus was a small bodied dinosaur that grew to about 2 meters in length. Its strangest characteristic is its forward projecting teeth. This dinosaur was found in Madagascar. It lived some 70 million years ago in the Late Cretaceous Period. Megalosaurus means "Big or Great Lizard." The bones of this dinosaur were recorded as the first ever found. But even today, there hasn't been a complete skeleton uncovered. This dinosaur grew to be just under 4 meters tall. Some people believe that Nanotyrannus is in fact a young T.Rex. There are however some differences in the structure of the teeth, that suggests that they are different species. The Nanotyrannus had teeth that are thinner and more suitable for slicing. This dinosaur is also believed to hunt in packs as teeth from multiple animals have been found together. This long necked dinosaur grew to about 7 meters and is believed to crop the tops of trees. To date only a single skull has been found. These dinosaur remains were found in what is now North America. This creature lived in the late Cretaceous period and is categorised by a a three toed foot, long slender arms and a bird like skull. Its name means "Egg Thief". It originally received this name, as its remains were found on top of a clutch of eggs believed at that time to belong to another dinosaur. However, it has since been shown that other specimens were also found on top of eggs from their own species and it may have been that these dinosaurs were trying to protect their own eggs. This dinosaur is believed to have lived in herds. It grew to about 3 meters in height and 8 meters in length. The name means "Broadway Lizard" and lived in the late Triassic period (199 million to 216 million years ago). Strictly speaking, Pteredactly's are not dinosaurs - but are classified as Pterosaurs, making them lizards. However, in most peoples eyes, any list of dinosaurs would not be complete without reference being made to these incredible creatures. From the Late Cretaceous Period - some 80 million years ago. This carnivorous dinosaur had enlarged curved claws on the second toe of each foot. The Qantassaurus live in what is now Australia some 115 million years ago. It was discovered in 1996 in a place called Flat Rock, Southeastern Australia. This dinosaur grew to about 2 meters in length. Strangely, this dinosaur was named after Qantas the Australian Airline. The name means "extraordinary lizard." This dinosaur lived some 80 million years ago in the Late Cretaceous Period. To date only a single, incomplete skull has been found. Based on other members of this dinosaur family, sauropods, it is believed to have had an elongated neck and tail. Rajasaurus was about 8 meters in length and about 2.5 meters in height. This dinosaur was discovered in India. Saurolophus means "Ridged or Crested Lizard"
It is distinguished from others by its spike like crest that projects up from the back of its head. 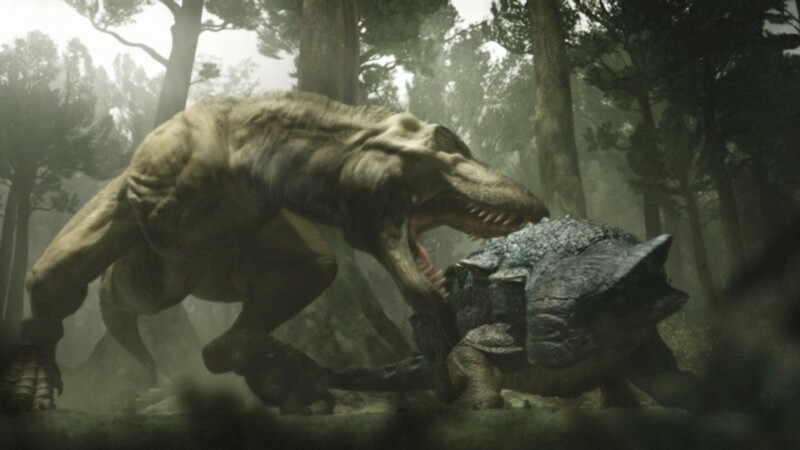 Spinosaurus is reputed to be even larger than Tyrannosaurus. It had a "sail" on its back, the purpose of which is still the subject of much debate. One of the most well known and recognisable dinosaurs. The name means "roof" or "covered" lizard. With its small head compared to the rest of its body, this four legged, this was a four legged, armour plated dinosaur. The majority of fossils have been found in the Gobi Desert of southern Mongolia. Triceratops (the name means "three horned face") lived around 65 million years ago in what is now North America. It was very distinctive looking dinosaur with its huge bony frill and 3 horns. Probably the most famous dinosaur of them all lived around 66 million years ago. An interesting article on Tyrannosaurus Rex from the National Geographic. Discovered in Colorado, Ultrasauros grew some 16 meters in height and 100 meters in length - a true giant of a dinosaur. There is still a lot of speculation as to whether or not this dinosaur ever really existed. Mainly down to only a few fossilised bones having been found and some of these are disputed as belonging to Ultrasaurus. The Utahraptor is from the Early Cretaceous Period, some 124 million years ago. This dinosaur was first discovered in 1991 in Grand County, Utah. The Utahraptor grew to be about 3 meters tall and 6.5 meters in length. Utahraptor - From Walking with Dinosaurs live experience. A ferocious dinosaur made infamous by the film Jurassic Park. Velociraptor means " Rapid Robber" or Quick Plunderer." This dinosaur was has been found in China, Russia and Mongolia. A dinosaur from the Early Jurassic Period. Found in Southern Africa. This dinosaur received its name after the first fossil remains were found between volcanic flows. From the early Cretaceous period and discovered in China, only a few bones have been found belonging to this dinosaur. It was about 6 meters in length. This dinosaur grew to about 4.7 meters in height and 10 meters in length. It was first discovered in 1977 when an almost complete skeleton was found. From the Late Cretaceous Period. This dinosaur was actually discovered by an eight year old boy in 1996. 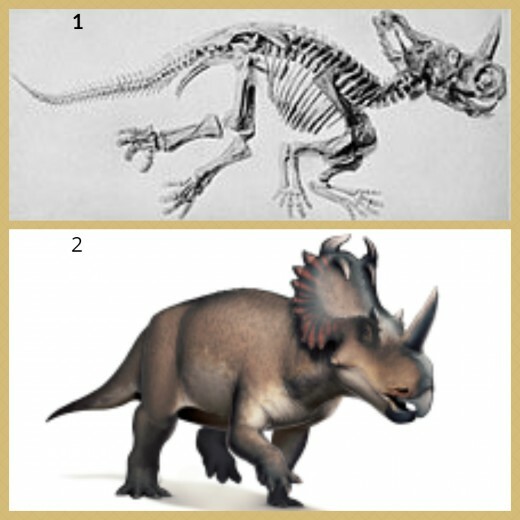 Zuniceratops grew to be about 3 meters in length and 1 meter tall. How Did The Reign Of The Dinosaurs End? There still continues to be a lot of debate regarding how dinosaurs seemed to come to such an abrupt end. The most popular theory is that a huge meteorite struck the earth and caused the extinction of about 75% of all land living animals. How Did The Dinosaurs Grow So Big? I hope that you have my article. Thank you for your kind words. It is always great to hear that the article has been enjoyed. Great article with a lot of interesting information and terrific illustrations, thank you for sharing. My son and I love this lens! So much information, thank you for sharing. I love dinosaurs! This is such a cute lens! A very informative lens. Many Thanks! A well done lens. Thanks for sharing. Dinosaurs are ALWAYS a fascinating subject. @RoadMonkey: There are such a huge variation of dinosaurs to choose from. Thank you for your visit. Dinosaurs are fascinating. Great lens. @tonyleather: Very much appreciated - thank you. @chrisilouwho: Thank you. It's always pleasing to hear when someone shares a lense. This is a wonderfully informative lens, even for us old-timers! thanks! love this! e-mailed the link to my sister who has a son who is all about the dinosaurs right now, he's going to love it too. thanks for sharing! Wow!!!! A lot of work here, Great Job. My grandson loves dinosaurs, next time he's at our house I will show this to him. I'm sure that he will like it as much as I did. Wow! This is some fantastic lens, lots of work went into this one and it shows. It also helped me to learn a lot about Dinosaurs. I'm amazed and impressed with the work you've put into making this so complete and concise! Great work and so useful for kids as a guide!!! @RebeccaRubia: Thank you for your visit. This lens is great! Thank you! @Elaine Chen: That would be wonderful - thank you. @Inndise: Thank you so much. 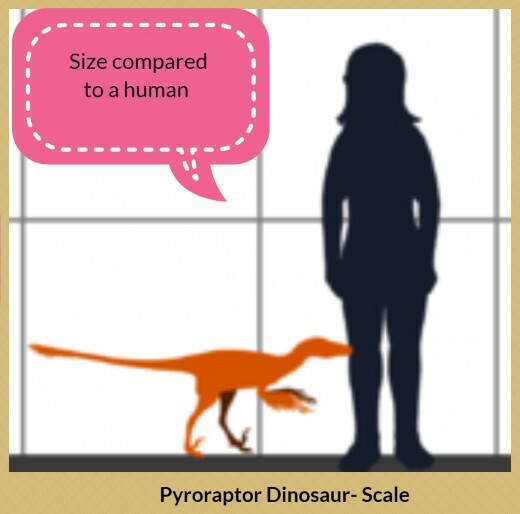 Wow, there's a lot of interesting info here on dinosaurs, the miniature dinosaur Compsognathus would be interesting to see, especially if it had feathers. @Greathaul2013: Ahh! the joys of childhood, a time when everything is a potentially great find. Love the lens. My neighbor and I used to dig for dinosaur bones when we were kids. Every time we would hit some cement or rocks, we would get excited and think we had found some old dinosaur bones, haha. @mina009: I think dinosaurs fascinate boys and girl of all ages. Thank you for your visit very much appreciated. Great lens about dinosaurs! Most of the boys at a very young age love dinosaurs. @Yvette Munro: Thank you - very much appreciated. What an informative and wonderful looking lens. I've always been fascinated by the stories of dinosaurs. I knew there were many kinds of dinos - but your lens broadened my perspective, thanks. Good number of dinosaurs, lots of info, fantastic lens! @happy-birthday: Its always great when someone shares their thoughts on this lense - thank you so much. Beautiful lens!!! I love it! Thanks a lot for sharing! @ringthepost: Thank you. Very much appreciated. My Kids love dinosuars! They both got a kick out of this lense, thanks for the info! @anonymous: Hi Tipi - Always a pleasure to hear from you. So much information for that perennial topic. Kids would love this. @takkhisa: Thank you - very much appreciated. Wow this is a great lens about Dinos. Lots of information. Great lens not just for kids but for adults too. @LiteraryMind: Thank you - always appreciated. What a fun lens for kids. Great job. @rstaveley lm: I suspect that they are more interesting at a distance. @Cynthia Haltom: Thanks for the visit. Dinosaurs are such amazing creatures from the past. I am fascinated by dinosaurs, and so is my grandson (he's 5!). I wouldn't want to meet one, though! @bornot2b1: Thanks for your visit - greatly appreciated. This lens is incredible, very informative. @KamalaEmbroidery: Your very welcome - thanks for visiting. I love dinosaurs. Thanks for all the information. Great lens for kids! Thanks for posting this, it was very informative. @Thamisgith: Thank you. Our fascination with dinosaurs begins almost as soon as we can talk. Cracking lens! there's something about dinosaurs that kids just find fascinating. I can remember, years ago, watching "Walking With Dinosaurs" with my 18 month old son sitting on my knee. Even at that age, he absolutely loved it. @TreasuresBrenda: I think that once you share that interest in dinosaurs, the fascination in them remains with you for ever. My sons loved dinosaurs. Guess I should ask if they still do. Wow. That's so much info on dinosaurs. My 4 yr old son is fascinated with dinosaurs. I'll be showing this lens to him. @NibsyNell: Thank you for your comments - always appreciated. I've been fascinated by dinosaurs ever since I was little. I feel all excited like I'm 6 again reading this lol! @Vikk Simmons: It must be amazing to take part in a dino dig. I'm such a huge fan of dinosaurs. We have dino digs in Texas and I had a lot of fun taking my grandson there one weekend. Wow so much info. You can tell you put a lot of time and work into this lens. I had no idea there were so many different types of dinosaurs. I found this lens because you visited mine I am so glad you did. Thanks so much. @shahedashaikh: Thank you for your comments. @Wednesday-Elf: Thank you so much - your comments are very much appreciated. What an interesting and educational page about Dinosaurs. Absolutely fascinating and very well done. 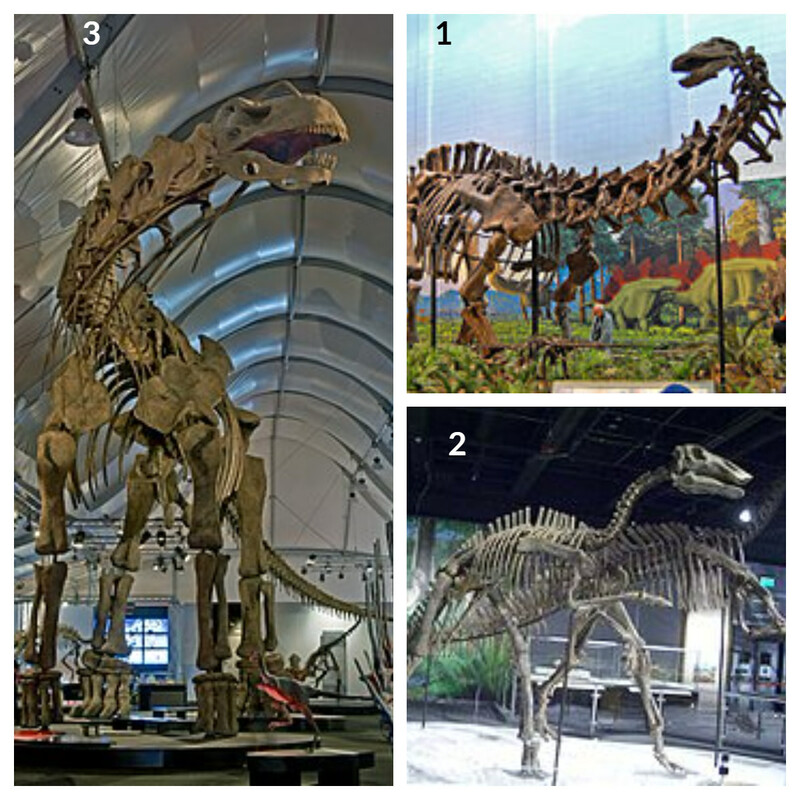 @alenmic: All kids, including the grown-up ones - love dinosaurs. really nice. Thank you for your post, I look for such article along time..
@golfspice: Thank you - very much appreciated.